The charming city of Calexico is rooted within the Imperial County and offers a bustling downtown area that is home to local shops, restaurants and a number of local sights. Residents of the town also enjoy a string of vibrant festivals that also lure local and international tourists alike like the Mariachi festival and an art exhibition that showcases the Latino race. Calexico also enjoys a very strategic location that offers prime links between the major markets of the west coast and interior Mexico and those who opt to buy properties within its boundaries will find it easy to travel because it has its own rail service and airport. Not only that, but there are good private and public schools that offer quality education from preschool to college. Though enjoying a wide range of urban amenities, the city still has many areas that allow many to enjoy the easy life of country living. 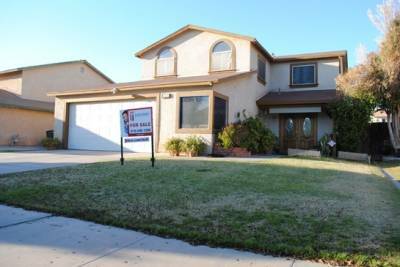 So if you are the type who wants to enjoy the conveniences of the city yet want to live in an area that is quiet, lush and relaxing then looking into the Calexico short sale listing and seeking advice from an experienced real estate agent from the well-known JohnHart Real Estate is the wisest thing to do for you. Doing so will help you find a property ideal for you with reasonable rates in a hassle-free way.